Juxtaposition Design: Upcoming Event: ASID-MSU Student Chapter - 1st General Meeting! 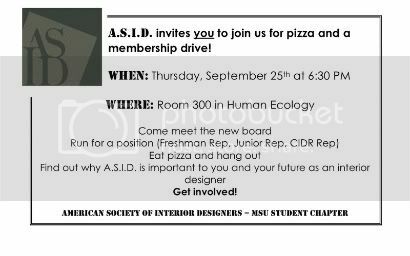 Upcoming Event: ASID-MSU Student Chapter - 1st General Meeting! Be there or be square, classmates.